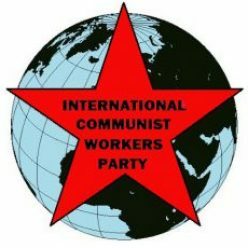 The publisher of this site is the International Communist Workers Party. Our website address is: http://icwpredflag.org. We do not currently allow comments on this site. We do not collect any data from visitors to this website except their IP address and access dates and times. We do not share this information with anyone. We retain visitors’ IP and access data for two years. No data is sent to any individual, company, government agency or website. IP and access data is stored only on our website, where ordinary website security measures are in place.